Press Release (ePRNews.com) - HUNTSVILLE, Ontario - Jan 31, 2018 - Devonleigh Homes, a family owned and operated home building company, proudly announces the release of its third Huntsville community, Brookside Crossing. Devonleigh Homes, a homebuilding company, is committed to delivering high-quality workmanship and customer service. Since 1996, this family-owned and operated company has earned a reputation among real estate professionals and homebuyers for creating new homes for families seeking comfort, value, and style. This weekend, Devonleigh will release its newest community, Brookside Crossing in Huntsville, Ontario. Brookside Crossing features Muskoka style townhomes for sale and like its sister communities – Serenity and Settlers Ridge – it’s expected to be highly sought after. Brookside Crossing townhomes in Huntsville offer a gateway to a more tranquil way of life, year-round activities and picturesque views of the Muskoka region. With a population of just under 20,000, houses for sale in Huntsville are very attractive because they provide access to big city conveniences, without the congestion and stress of urban areas. New and young families will appreciate easy access to schools, family-friendly restaurants, a hospital and recreational programs the whole family can enjoy. Huntsville also acts as a convenient gateway to the renowned Arrowhead and Algonquin provincial parks. Brookside Crossing was designed with young families in mind. These beautiful three bedroom Muskoka style townhomes come standard with ceramic tile flooring, designer kitchen, modern wire shelving in all closets, smoke detectors on all levels, high-efficiency natural gas forced air heating system, LED light fixtures and much more. Starting from $329,900, these townhomes are a sound investment for first-time homebuyers. If interested in new homes for sale in Huntsville, call 705-784-0333 to learn more about Brookside Crossing or visit the sales office on Feb. 3 at 12:00 located at 10 Homestead Lane, Huntsville, ON. Register here at http://www.devonleighhomes.com/communities/huntsville/brookside-crossing/contact-us for more information. Don’t miss out on your chance to own a brand new Devonleigh Home at Brookside Crossing in Huntsville. 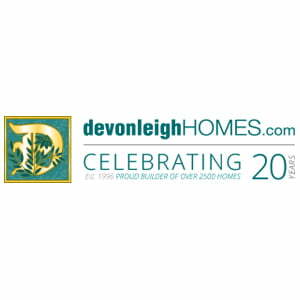 Devonleigh Homes was established in 1996 and has since built over 2,500 homes. Devonleigh Homes, a homebuilding company, is committed to delivering high-quality workmanship and customer service. Since 1996, this family-owned and operated company has earned a reputation among real estate professionals and homebuyers in creating new homes for families seeking comfort, value, and style.